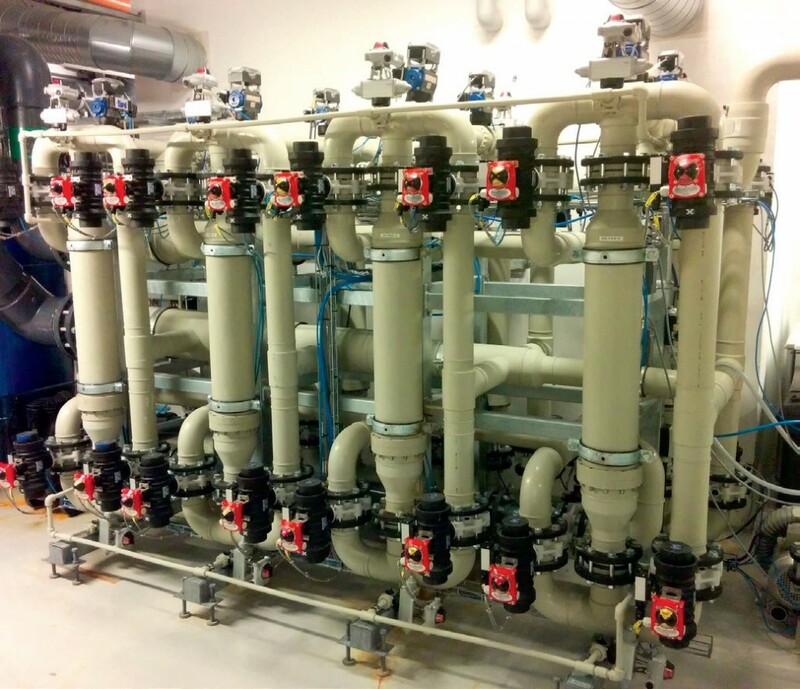 Ankerskogen in Norway, a six pool facility, has already opted for Ceramiflo as their filtration solution. Supplying chemistry, equipment and technical know-how to the leisure industry for nearly 30 years, Total Pool Filtration has long been aware of the need for efficient water management. So when Total Pool saw an opportunity to team up with the Danish firm Provital to help the UK industry benefit from some of the water saving techniques from Scandinavia, it did not hesitate. Through this collaboration, in 2016 Total Pool launched the Ceramiflo range of ceramic membranes which are modular and can be fitted to smaller hotel plant rooms as well as multi-pool leisure facilities. Depending on the facility, Ceramiflo will use a third of the water that a conventional sand filter system uses. Coupled with the water saving and effluent saving; you have the energy saving from needing to heat up less water due to less loss. The system is fully automated which means it will backwash one membrane at a time when it needs to. Most crucially, this means a consistent backwash every time. It means the backwash will be done when required without lowering the pool temperature and it frees up the pool operator from the task of backwashing manually at the end of the day. Water clarity will also be improved. The three micron membrane pore size means a lower pool turbidity, a better tool in the challenge of overcoming the risk of crypto-sporidium and an improved bather experience. Fully automated, the Ceramiflo system can be accessed and controlled from a remote laptop. Aside from its water management benefits, the Ceramiflo system is up to a third of the size of comparable sand filtration systems, requires a lower headroom, requires a smaller water storage system and requires less chemical to disinfect the water. “With water becoming an increasingly precious commodity; the next time you backwash your facility’s sand filtration system bear in mind the water you are sending to drain; knowing that over the upcoming years this resource will become more expensive and scarce,” says Chris Andrews of Chester-based Total Pool Filtration.